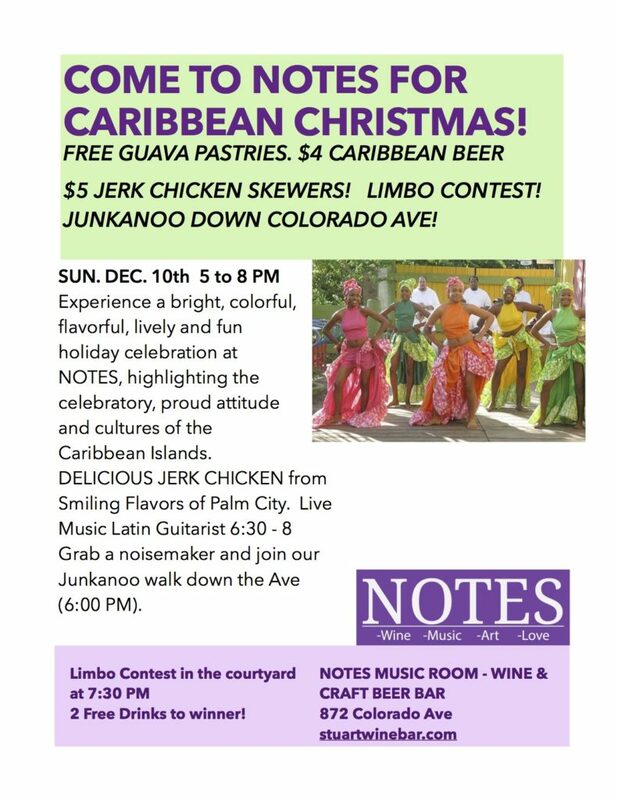 Home > EVENTS > Caribbean Christmas in The Courtyard! Caribbean Christmas in The Courtyard! Come Enjoy Caribbean Food, Fun and Flair! Jerk chicken skewers! if you want to join in, wear a hat or headress and or bright attire and bring a noisemaker! Latin Guitarist from 6:30 til 8. Everyone is welcome! The courtyard is wonderful this time of year. Party will move inside if rain. Happy Holidays! SHOW YOUR RESERVED FREE TICKET and get a FREE RAFFLE TICKET – Door Prizes!